To frame my dUghter's painting. Last minute art show. Only site with this size!! If this is an 18"x18" frame, why are your measurements 17"x21"? Is this not a square frame? Does this have panes of glass? BEST ANSWER: Thank you for your question. Unfortunately no this is just the frame there is no glass. We hope this information will be of help to you. I have a flat poster that I’m wanting to frame. Will it fit if its 18 x18, and is flat? BEST ANSWER: Thank you for your question. This inside will fit anything that is flat and is 18" x 18" x 1" and the measurement outside is 19 1/4" x 19 1/4" x 1 3/8" We hope this information will be of help to you. 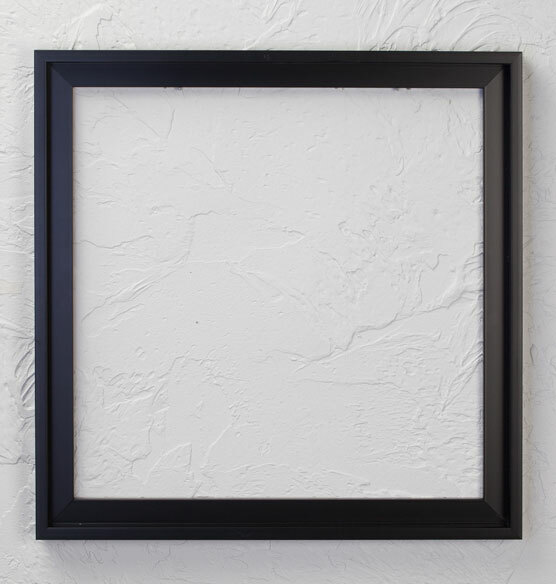 Hi: If the frame fits an 18"x18" canvas, how can the frame measure 17x21? Sure it's 21x21?? Please check this. BEST ANSWER: Thank you for your question. The correct measurements are 18 X 18 for the opening. The overall dimension are 18 ¼ X 19 ¼. We hope this information will be of help to you. Are the floater frame "specifications" incorrect? How can a square canvas measuring 18x18 fit into a 17x21? BEST ANSWER: Thank you for your question. You will need to form the canvas onto the frame. We hope this information will be of help to you. What depth canvas is this made for? BEST ANSWER: Thank you for your question. This frame is 1 inch deep. We hope this information will be of help to you. I have an 18"x18"x3/4" canvas, and I'm REALLY struggling to find a floater frame that will fit it. This says "Designed especially for Exposures canvases", but I'm wondering if this will work for other standard canvases as well. Will it? BEST ANSWER: Thank you for your question. The depth of the floater frame is 15/16” deep and work with our regular canvas which is 9/16 “ deep. We hope this information will be of help to you. I have a child's artwork that measures 18x18. It is on a heavy paper (somewhere between construction paper and poster board). Would I be able to insert it into this frame? I am OK with trimming an edge if necessary. BEST ANSWER: Thank you for your question.This frame is intended to be sued for canvases. We hope this information will be of help to you. I apologize, but no, this information doesn't help me. 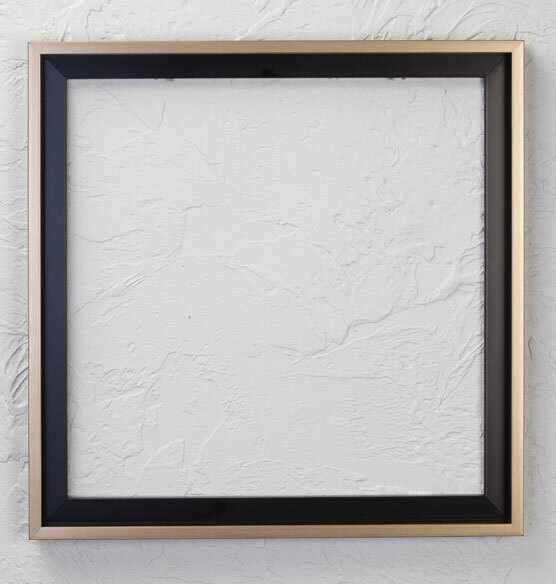 What I need to know is whether this frame can be used for a piece of art work on heavy paper. Perhaps I can ask it another way: How is art secured in this frame? If this frame will not work for my purpose, is there another Exposures product that will? We are sorry for any inconvenience this has caused. 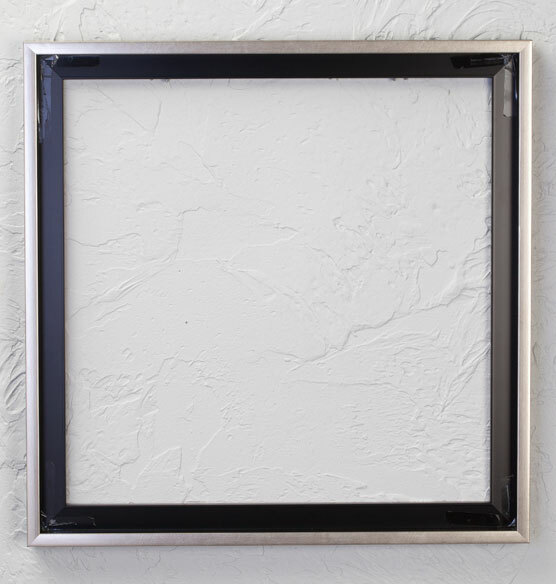 This floater frame is designed only to fit the Exposures canvas art we sell. 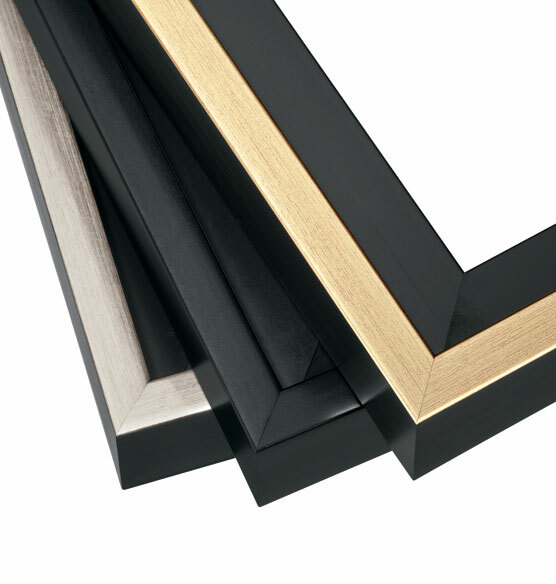 Unfortunately we do not sell any other larger frame for art work. BEST ANSWER: Thank you for your question. This item measures 17” wide x 21” high x 1” deep. We hope this information will be of help to you.